In a candid interview last week, Canadian poker pro Daniel Negreanu stated that Full Tilt players expecting the poker site to be sold to Group Bernard Tapie and to be fully reimbursed for their frozen account balances should not be counting too heavily on seeing their funds, as he believes the deal will never go through. Seemingly not contented with blasting Full Tilt Poker on his weekly video rants in which he has referred to Ray Bitar, Howard Lederer and Chris Feguson as scumbags and shameful little weasels , Negreanu sat down with Poker Strategy and expressed his opinions on various topics, including the recent rumors that the sale of Full Tilt will become finalized sometime this week. When the 25-minute interview got around to the Full Tilt acquisition, Negreanu minced no words regarding his belief that the deal will never be sealed. 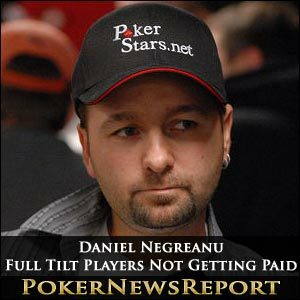 The players are not getting paid, Negreanu insisted. It’s over. It’s gone. Forget it. I’m telling you now. Tapie ain’t paying nobody. This deal is falling through. You lost your money. It’s just not gonna happen. Industry rumors surfaced last week that Tapie had secured another investor and that the deadline of March 16 to close the deal would be extended with all parties involved believed to be nearing agreement on completion of the sale, including the U.S Department of Justice acting as middleman because of the Black Friday indictments that require asset forfeiture proceedings to receive court approval. 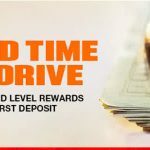 The acquisition negotiations have been dragging on for several months, causing Full Tilt players who are owed money by the site to become increasingly frustrated. Negreanu has added to the frustration and anger of the players by broadcasting weekly video rants that have ridiculed the Full Tilt board of directors and questioned the integrity of Bernard Tapie as the potential new owner of Full Tilt. Negreanu’s latest comments stemming from the interview are sure to further puzzle and incense an already angry online poker community. Additional rumors escalated last week indicating that Tapie had been in contact with the Alderney Gambling Control Commission (AGCC) and the Kahnawake Gaming Commission (KGC) in order to reinstate the FTP operating license that had been revoked by the AGCC, and to clarify its licensing status with the KGC, which provided Full Tilt with secondary licensing to run a poker site. Upon the revocation of Full Tilt’s operating license in September, Alderney officials had agreed to the allowance of possible reinstatement, provided that new management was at the helm. Earlier this month, after almost 11 months of silence by Full Tilt management, FTP president Ray Bitar apologized to Full Tilt players for the lack of repayment and silence by the board of directors. My love for the sport and the poker community has made it very difficult to keep silent, particularly in light of the many angry sentiments directed at FTP, myself, and others in newspapers and blogs, Bitar said to Poker Strategy. Given the lack of information that has been made public, I can certainly understand these sentiments. Bitar further said that his goal since the Black Friday allegations has been to reimburse players. An overwhelming number of players and members of the poker community were extremely dissatisfied with Bitar’s apology, reasoning that it lacked substance and was about 11 months too late. Negreanu echoed those sentiments in the interview by calling Bitar an idiot and saying directly to Bitar that, I hope you go to prison. Negreanu’s weekly video rants in February constantly ridiculed Full Tilt board members for being silent so long. Then, when Bitar finally did speak up and apologize, he was further vilified by Negreanu for the tardiness of his apology. At this point, any statement made by Bitar or Full Tilt honchos short of promising complete repayment to all players will undoubtedly be met with anger, hatred and ridicule. It remains to be seen whether the Full Tilt sale will actually become final this week and players will be reimbursed, as recent rumors have alluded to. Negreanu believes that it won’t happen, but admitted that, this is one of the few times that I’d really be happy to be wrong. hopefully we do get our funds back ..lol if we dont you would have to be a mug to even bother making a deposit on this site .. every1 who caused this should go 2 prison its straight up theft ..I have seen people go 2 prison r stealing cheese lmao so why should they p***ks walk free FTS…..
Not a fan of Negreanu but he is right, these people are scumbags. A late apology is not enough. They lined their own pockets with the players’ money and I hope they go to jail too, and for a bloody long time. POOL SOME MONEY TOGETHER…ALL FULL TILT PLAYERS…HIRE A SPECIALIST…JOB WELL DONE!! !